We sell tons of Ampersand panels at Wet Paint…Gessobord, Claybord, Aquabord, and – of course – Unprimed Basswood (how could you miss the boxes full of ‘em on the pretty orange palettes?). Many folks like painting on panels because they can be presented without framing…simply paint or stain the cradled edge and it’s ready to hang on the wall. Unfortunately, this presentation method doesn’t offer any protection to the artwork. It also doesn’t adequately distinguish the picture from the wall. Wouldn’t it be nice if there was a simple, all-in-one solution that would both safeguard and support a painting made on an Ampersand panel while also making it stand out from the wall? Well, now there is: introducing Ampersand “floaterframes!” Designed to fit 7/8″ and 1.5″ cradles, 3/4″ canvas (and even flat panels! ), floaterframes come in two profiles, three colors and five popular sizes. These premium hardwood beauties are super easy to use…everything you need to give your artwork the finishing touch it deserves is included: all of the mounting and hanging hardware comes with each floaterframe. Floaterframes elegantly complete those panels you’ve worked so hard on, and we’re making it easier for you to complete them: all Ampersand floaterframes are priced with an introductory discount of 25% off! Stop by to see all of the options…Greg even framed one of his fantastic panel paintings so you can see the magic in action! Categories: In depth with Darin, This just in! New products we are excited about | Tags: Ampersand panels, floaterframes, new product, Scott Gellatly, Wet Paint St. Paul | Permalink. Twenty years ago I hired this guy not just with an artist’s attitude but a New York artist’s attitude to boot. I never imagined Greg would turn into a long term employee and be so devoted and committed to Wet Paint, our employees and customers. Greg has grown into a key manager at Wet Paint, keeping the front of the house well stocked and staffed. 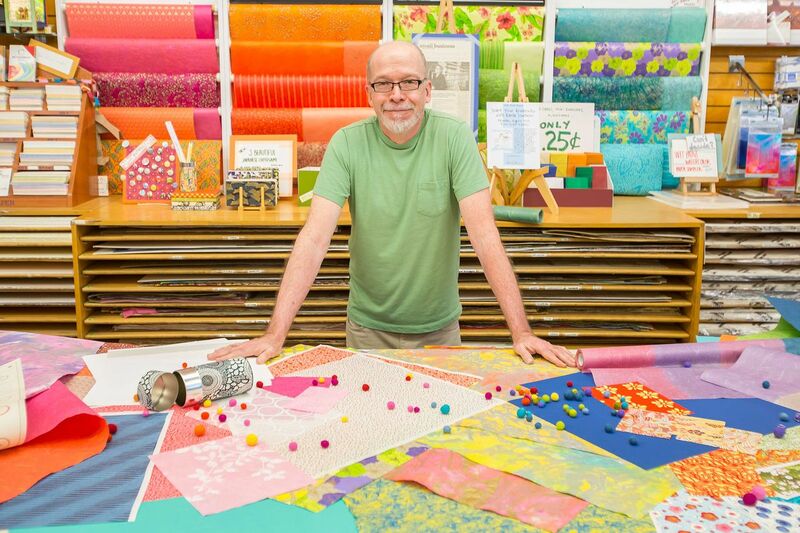 He is passionate about art materials and loves to share his extensive product knowledge with staff and customers. I am constantly amazed to hear Greg speak of a customer and the products they use; how they use it, and where they are showing their work. And now Greg’s clientele has the opportunity to view his new work at the Bloomington Theatre and Art Center’s Atrium Gallery. 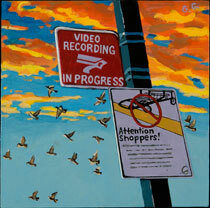 The show includes 60 paintings (yes, 60) ranging in size from 4”x4” to 8”x10” (yes, inches). As a true art supply junkie, they are enamel over acrylic on Ampersand panels. He is currently using the Princeton Select 3750 series of brushes. So join Greg at the reception for his show this Friday evening, October 4, from 6-8 p.m. I know he will love to see you and talk shop. Categories: News | Tags: acrylic paint, Ampersand panels, art exhibition, arts, Bloomington Theater and Art Center, Enamel, event, Greg Graham, Gregory Graham, opening reception, Wet Paint St. Paul | Permalink.